With the awfully cold weather happening right now many food and wine enthusiasts turn to preparing hearty casseroles, roasted meats and slow-cooked dishes for dinner and pairing them with robust and flavourful red wines to complete a perfect, comforting evening. Honestly, what can possibly beat that when it's -30 degrees outside? Italians (Canada's fifth-largest ethnic group) have been doing just that for centuries - enjoying their favourite winter dishes with a bottle of Ruffino, one of Tuscany's most beloved wine producers. Ruffino's place in the history of Italian winemaking is deeply rooted, dating back to the late-1800s when its first winery was founded. Then, in the early 1900s, Ruffino was appointed official wine supplier to the royal Italian court. Their Chianti Ruffino and Riserve Ducale were also among the first wines to be exported from Italy during that time, introducing Italian wine to the world. In 1984, Chianti became a legally appellated region; the first DOCG designation was given to Ruffino Chianti and this wine became the first to sport the official pink seal. 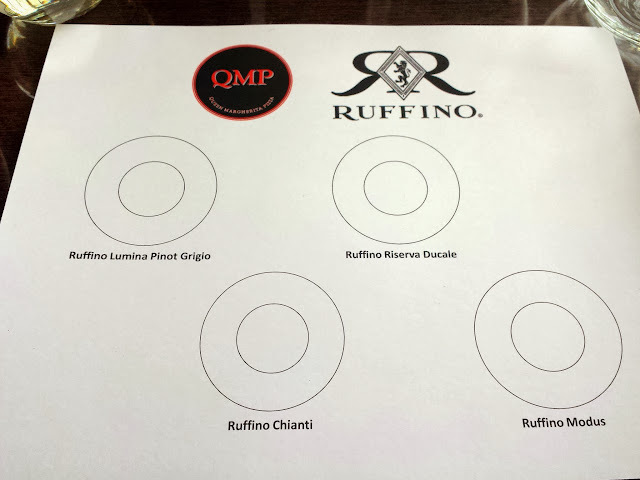 With six Estates within the Tuscan region of Italy and 130 years of winemaking history, Ruffino can be considered the benchmark for Tuscan wines. Ruffino wines are currently available in more than 85 countries. 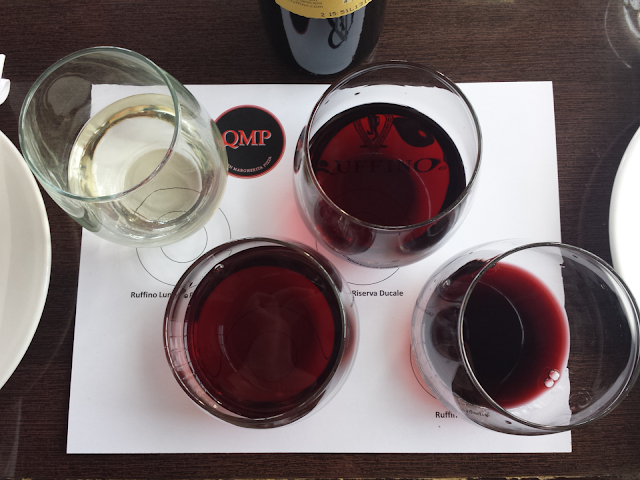 I had the pleasure in attending a special Ruffino winetasting and pizza-making media event at Queen Margherita Pizza (Twitter: @qmpizza, Facebook: Queen Margherita Pizza) in Leslieville. "Italians in Tuscany drink Chianti to complement classic dishes such as braised beef, pasta with meat sauce like lasagna or roasted veal. With higher acidity levels, Chianti augments the robust flavours associated with these traditional Italian dishes as well as many Canadian fall favourites. While Chianti is ideal for hearty fare, it is still light enough to enjoy with something fresh and simple like a Margherita pizza. Ruffino Chianti is incredibly versatile when it comes to food pairing. 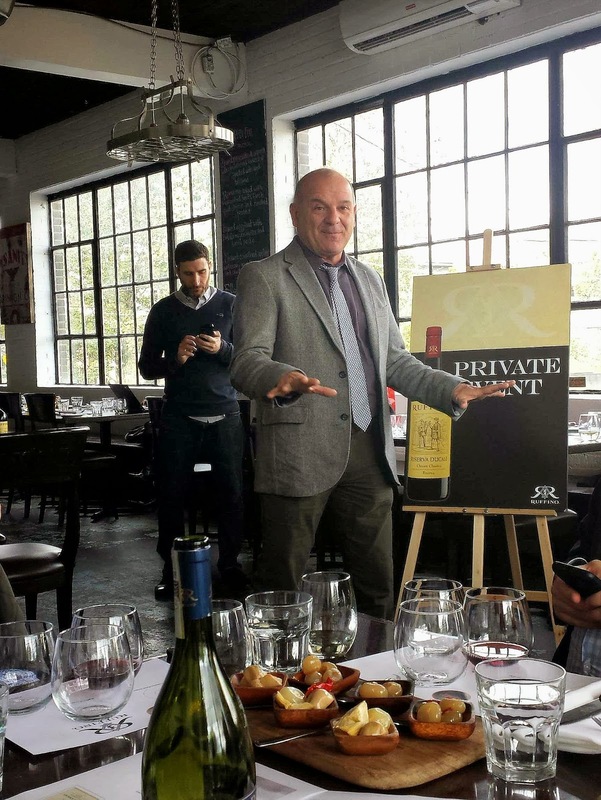 It makes great everyday wine." The Lumina Pinot Grigio, Riserva Ducale, Chianti and Modus. The Ruffino Chianti ($14.95 at the LCBO) is the #1 selling Chianti in Canada. It is a dry, medium-bodied and fruity red that combines refreshing acidity, smooth tannins and broad texture preceding a medium finish. It's also known for being soft, smooth and easy to drink because it receives no wood ageing. Combining fresh flavours and elegance, it pairs with a variety of Italian dishes such as gnocchi, mushroom risotto or a fresh-made pizza, but also with classic Canadian fare such as a homemade burger, pot roast or steak. First bottled in 1927, the classic, esteemed Ruffino Riserva Ducale (priced at $24.95) has an extremely elegant bouquet characterized by fragrant flowery and fruity notes. Violet, cherries, wild berries and plums meet with spicy hints of tobacco and white pepper grains, and delicate scents of red roses and flint on the end. On the palate, this wine is intense, velvety and crisp. The whole tasting sensation is enriched by a persistent finish that is incredibly fresh,, pleasantly mineral and presents and aftertaste with subtle notes of rosemary. This wine pairs beautifully with rustic Italian dishes like Osso Bucco and pasta Bolognese, or classic Canadian cuisine such as prime rib, wild duck or venison. Ruffino produces a number of other popular wines with a variety of price points available at the LCBO including the Ruffino Modus 2010 ($27.99 - released September 28th in Vintages, pictured below), Ruffino Lumina Pinot Grigio 2012 ($12.95) and the Ruffino Riserva Ducale Oro ($44.95 - released November 9th in Vintages). 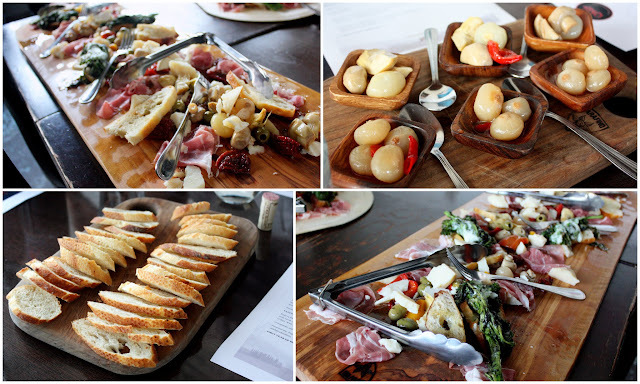 Queen Margherita Pizza provided some lovely bread, cheeses and salumi with our wines. 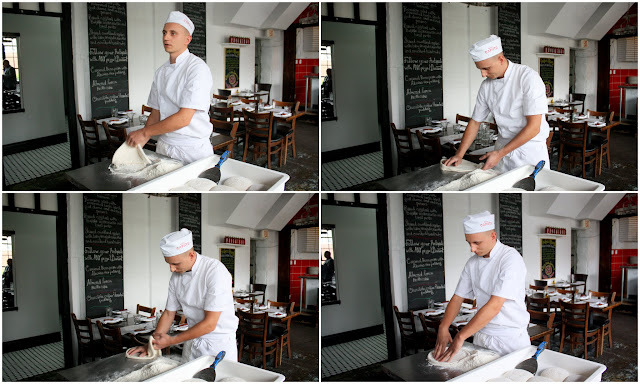 The Neapolitan pizzas at Queen Margherita Pizza are all hand tossed and made by trained pizzaioli. Queen Margherita Pizza uses Caputo Tipo 00 flour and San Marzano DOP tomatoes (both imported from Italy) and Fior di latte mozzarella made in Ontario exclusively for the restaurant. Below is Queen Margherita Pizza's 900° wood fired pizza oven, made in Naples. After the pizza-making demo, we all had the opportunity to create our very own wood-fired oven pizza. This was really fun!